Did you know that there’s a painless and non-invasive way to effectively hydrate and exfoliate the skin simultaneously? The advanced technology of using local high pressure sets the Jet Clear O2 Jet & Spray System apart. And you can use it to treat the face and body. Using compressed air (containing 22% of oxygen in stable form) sped up to a supersonic velocity through a very small nozzle, it pushes water droplets of sodium chloride (saline) solution through small pinhole openings in the handheld applicator. The O2 Jet handheld applicator is roughly the size of a pen and fits comfortably in your hands, so you can perform the treatment on your clients with ease. And the 3 fine jets allow for even liquid dispersion. 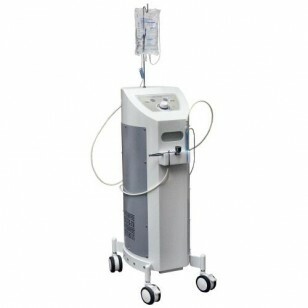 The intensity of the jet or spray can be easily adjusted by means of a dial located on the front of the unit to better suit your client’s skin type. For more sensitive skin, turn down the dial, and for normal skin on the face or on the body, you can increase the intensity. Since the Jet Clear O2 Jet & Spray System is gentle, you can even combine it with microdermabrasion or use it in conjunction with other treatments. The unit comes on a set of wheels, so it’s very easy to move around the spa. There’s a holder on the side for the handheld applicator, and it has a hook to keep the saline solution upright and in place. 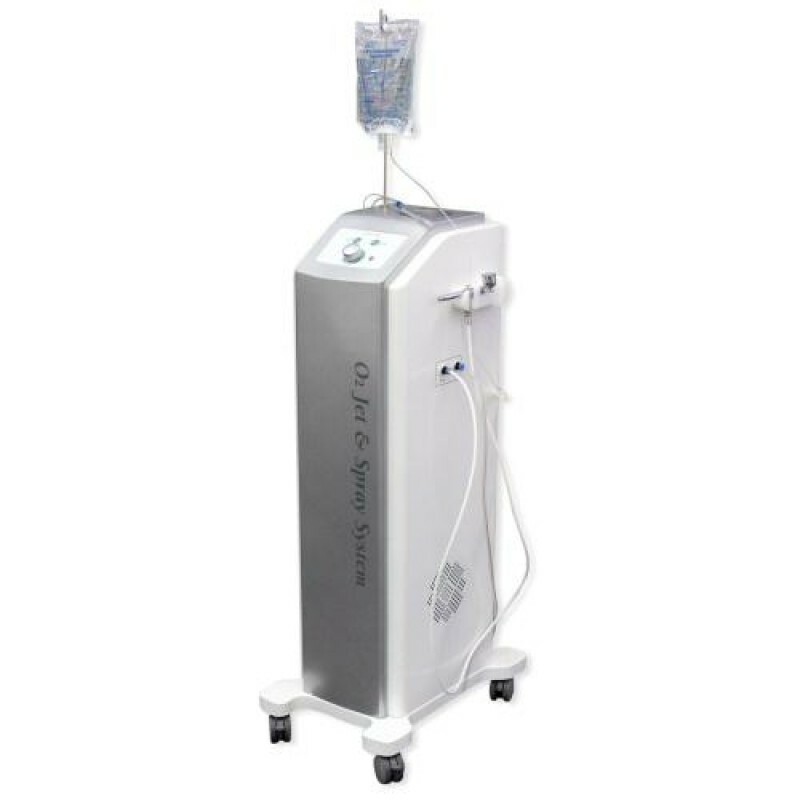 Purchase the Jet Clear O2 Jet & Spray System and other spa equipment from Natali Products today, and offer your clients the future of skincare. Watch our YouTube video showing you how to use Jet Clear in an anti-aging and rejuvenating treatment! Note: Spare parts for this system are available. See Hyaluronic Acid Booster Serum, specially designed to use with machines including Jet Clear.